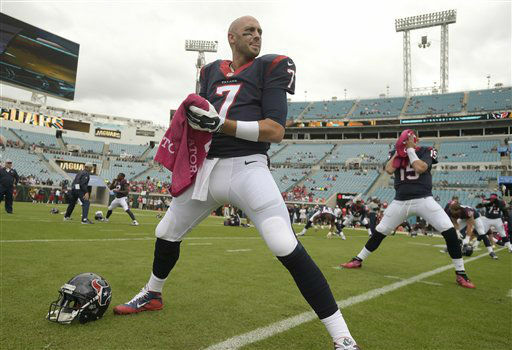 JACKSONVILLE, FL (KTRK) -- Brian Hoyer looked every bit deserving of the Houston's starting job. 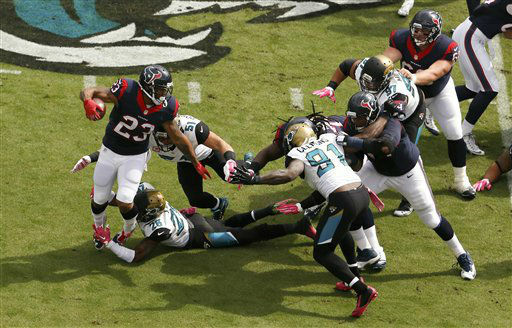 Hoyer threw three touchdown passes on third down, two to DeAndre Hopkins, and the Texans beat the Jacksonville Jaguars 31-20 on Sunday. Hoyer regained the starting job last week against Indianapolis and backed up coach Bill O'Brien's decision. At least against the Jaguars (1-5), who lost their fourth in a row and surely raised more questions about coach Gus Bradley's job security. 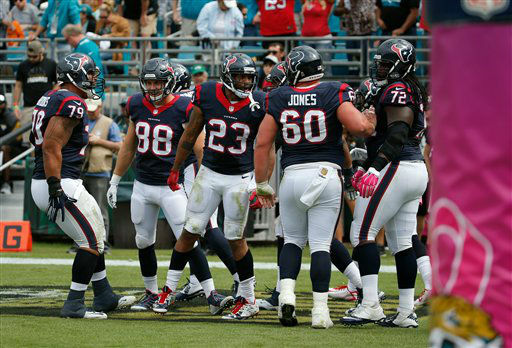 Houston hopes to right the ship against Jacksonville. 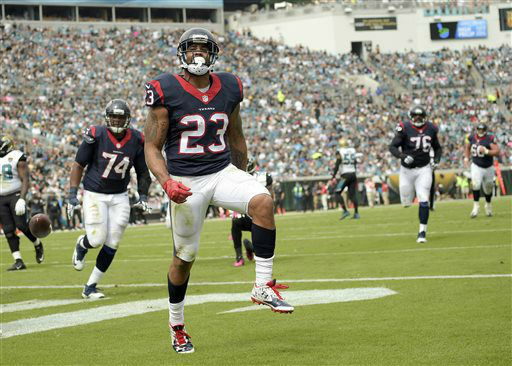 The Texans (2-4) started emptying the stadium midway through the fourth after Andre Hal returned an interception 41 yards for a touchdown and a 31-14 lead. It was the sixth pick-six thrown by Blake Bortles in 19 career starts. Hoyer and Hopkins pretty much had the game in hand well before that. 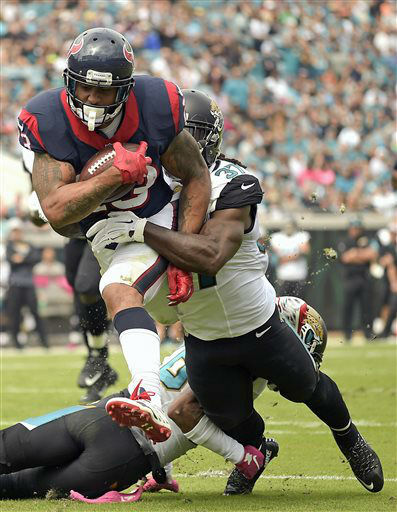 Hoyer was at his best on the game's most important down, connecting with Arian Foster on third-and-goal from the 7 and then hooking up with Hopkins for two more third-down scores. Hopkins bobbled and then secured a 9-yard pass in the back of the end zone and later ran by Davon House for a 26-yarder. Hoyer completed 24 of 36 passes for 293 yards. 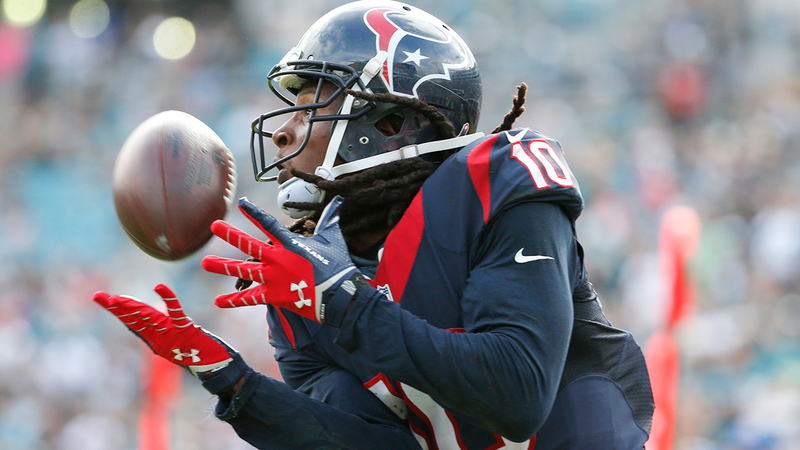 Hopkins finished with 10 receptions for 148 yards. Foster was mostly held in check, running 18 times for 53 yards. 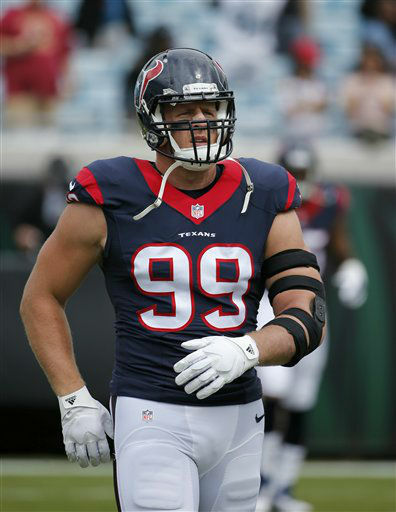 The only negative for Houston was injuries. Cornerback Kareem Jackson left the game with a left ankle injury and did not return. 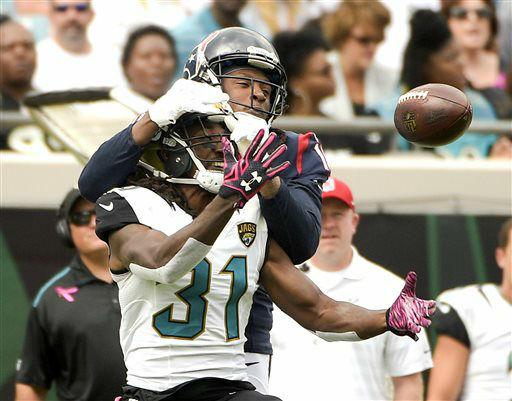 And backup safety Lonnie Ballentine appeared to break his left leg after making contact with Jaguars receiver Allen Robinson in the fourth quarter. Trainers rushed to put Ballentine's leg in an air cast before carting him off the field. Robinson had to be helped off, too. He limped to the locker room. Robinson caught six passes for 86 yards and a touchdown before the injury. Bortles completed 30 of 53 passes for 331 yards, with three touchdowns and three interceptions. The first two picks were costly. The first one came near the goal line at the end of the first half. 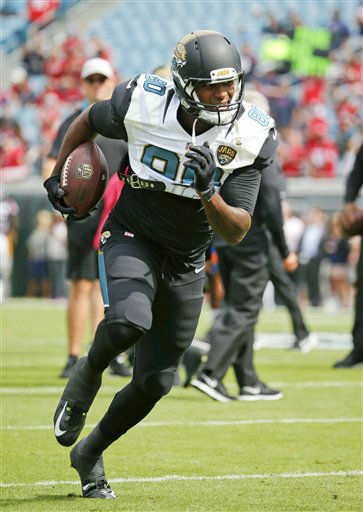 Jacksonville could have tied the game at 10 heading into the locker room, but Hal stepped in front of Bortles' low throw to Julius Thomas. 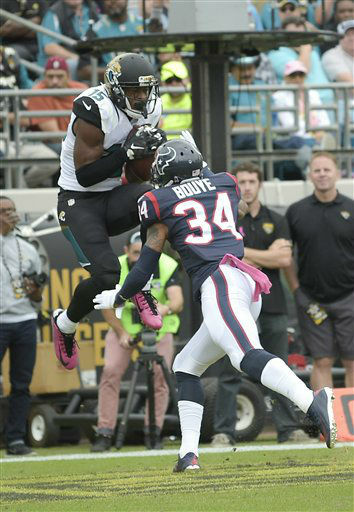 Thomas, Robinson and Allen Hurns had touchdown receptions for Jacksonville, which had little success running the ball without rookie T.J. Yeldon. 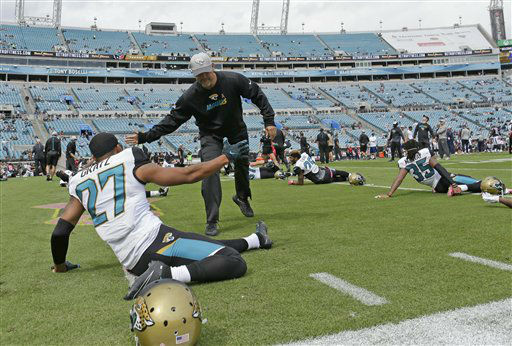 The Jaguars lost for the eighth time in 10 games against their AFC South rival. Houston now heads to Miami next week with a chance to sweep three games against teams from the Sunshine State. 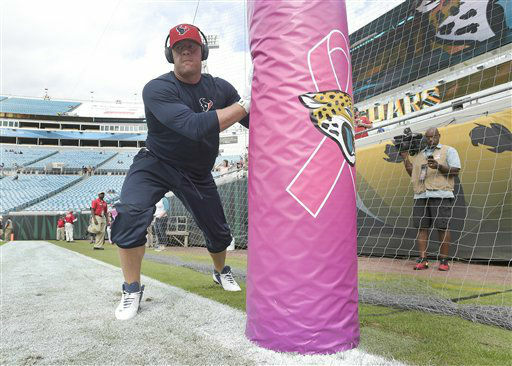 The Texans' first win came against Tampa Bay last month. Tap here if you're viewing on our news app.